Phoenix, AZ – May 1, 2018 – ABI Multifamily, the Western US's leading multifamily brokerage and advisory services firm, is pleased to announce the $2,200,000 / $75,862 Per Unit sale of Encanto Park Apartments, a 29-unit apartment community located in Phoenix, Arizona. The property is a single-story apartment community, built of solid block construction and comprised of 10 separate buildings built in 1944 / 1946 / 1948. The property features (25) 1-bed/1-bath units, (3) 2-bed / 1-bath units, and (1) 3-bed / 2-bath unit, with an average size of 624 square feet. Each unit is individually metered for electricity and most units have undergone extensive interior renovations. "The Seller had originally looked at this project as a redevelopment or land play and had planned to try to acquire additional contiguous parcels," states Rue Bax, Senior Managing Partner at ABI who represented the Seller. "But the market and rents continued to improve in this location, so the Seller decided to move on from this asset after pushing income substantially from when they acquired the asset." The Seller was a private investor based in California. The Buyer was a private investor based in California. 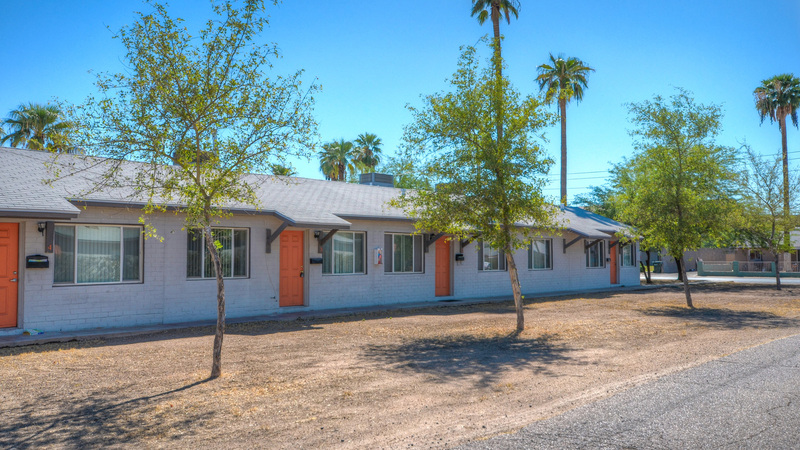 The Phoenix based ABI Multifamily brokerage team of Rue Bax, John Klocek, Patrick Burch, John Kobierowski, Alon Shnitzer, Eddie Chang, Doug Lazovick, Royce Munroe, Ryan Smith, and Nathan Bruer represented the Seller in this transaction. ABI Multifamily (http://www.abimultifamily.com) is a brokerage and advisory services firm that focuses exclusively on apartment investment transactions. The experienced advisors at ABI Multifamily have completed billions of dollars in sales and thousands of individual multifamily transactions. ABI Multifamily incorporates a global approach with regional real estate expertise to successfully complete any multifamily transaction, regardless of size and complexity.